The Cross Keys is the only pub remaining in the village of Redgrave and was made an Asset of Community Value (ACV) in October 2015. In March 2017, the Parish Council was approached by the current owners offering to sell the pub to the community and at a public meeting a number of local residents formed a steering group to look at the feasibility of the community purchasing the freehold of the Cross Keys. The current owners have stated that if the community does not buy the pub, they will not put it on the open market, but will instead close the last pub in the village and board up the bar and let the accommodation out separately and may start the building of the holiday chalets in the grounds. On the 25th April the owners informed Mid Suffolk District Council of their intention to sell the pub and under the ACV right to buy triggered a 6 month moratorium period which allows the community time to raise the funds and make an offer – this moratorium period ends on 25th October 2017. A public consultation by way of a questionnaire distributed to every household in the village was undertaken in early May and the results along with the steering groups vision for the Cross Keys was presented to the village at a public meeting on 22nd May 2017. At that meeting the steering group gained overwhelming support to form a legal entity to secure the purchase of the Cross Keys. 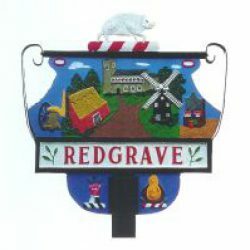 The legal entity – Redgrave Community Society Limited – has now been set up and registered with the Financial Conduct Authority (FCA), and we have been granted a bursary from the Plunkett Foundation of up to £2,500 to help finance costs associated with the setup of the legal entity and raising sufficient funds to be able to purchase the Cross Keys. We have also been promised £5,000 from the Redgrave Parish Council to help with legal fees and other expenses. The public consultation gave the village the opportunity to have their say on what facilities they would like the pub to provide.